Discussion in 'Star Style' started by LolaSvelt, May 31, 2009. I think he deserves a thread because I think be huge soon (and because he's insanely hot). Not only that, but he's been in the press recently (and also causing quite a stir) when he was seen kissing his 42 year-old director, Sam Taylor-Wood (he's 19, by the way)! Lucky woman! Oh and he's playing John Lennon in that film in which his sugar mummy is directing. hes actually only 18!! his bday is on the 13th june. i agree though i think he's gonna be huge! I love him. We need to post more on him. I agree, he is so gorgeous and talented! His facial hair is horrible. I blame his slutty wife-to-be. You can see I'm jealous. I love facial hair in general, but it looks he has planted pubic hair all over his face. I love him, he's very cute! I didn't realise he had a thread. I have the day off today, so as well as working on my design, I will try and post some more pictures of him to get this thread started. On another note, I can't believe he's engaged to Sam! However she has grow on me and I almost think they make a cute couple. If he's happy, then I'm happy for him. I hope it works out for them. Aaron Johnson and Sam Taylor-Wood attend the O2 X Awards at Paramount, Centrepoint on September 29, 2009 in London, England. 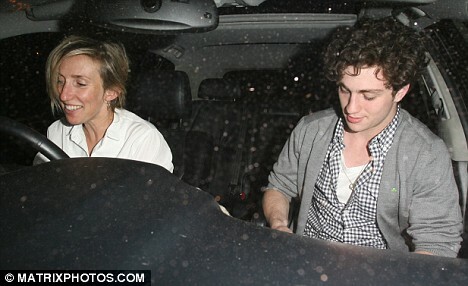 Aaron Johnson and Sam Taylor-Wood at a private viewing of 'Quilt'. Artist Sam Taylor-Wood and actor Aaron Johnson attend the Opening Ceremony and "Baaria" Premiere at the Sala Grande during the 66th Venice International Film Festival on September 2, 2009 in Venice, Italy. 'The Polaroid Project' by Sam Taylor-Wood. From the Observer newspaper on September 6th 2009. Sam Taylor Wood, Aaron Johnson attends the private viewing of David Bailey's ''Alive At Night'' and the launch of the Nokia N86 on August 26, 2009 in London, England. 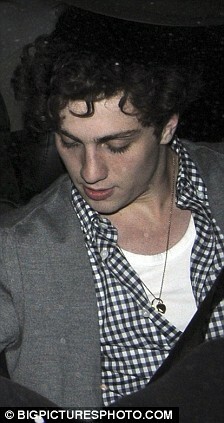 Aaron Johnson and Sam Taylor-Wood attend the charity fundraising evening 'Hoping's Got Talent' in aid of the Hoping For Palestine charity, at Cafe de Paris on June 18, 2009 in London, England. Aaron Johnson and Sam Taylor-Wood attend The 11th Annual White Tie and Tiara Ball to Benefit the Elton John Aids Foundation in association with Chopard held at Woodside on June 25, 2009 in Old Windsor, England. I think he is going to be a very big star! Aaron Johnson and Sam Taylor-Wood attend Jonathon Ross' Halloween Party, October 31st 3009, dressed as Little Red Riding Hood and the wolf.